Gary and I were part of the award-winning 2009–2011 Canterbury Laureate Squad, headed by Patience Agbabi. 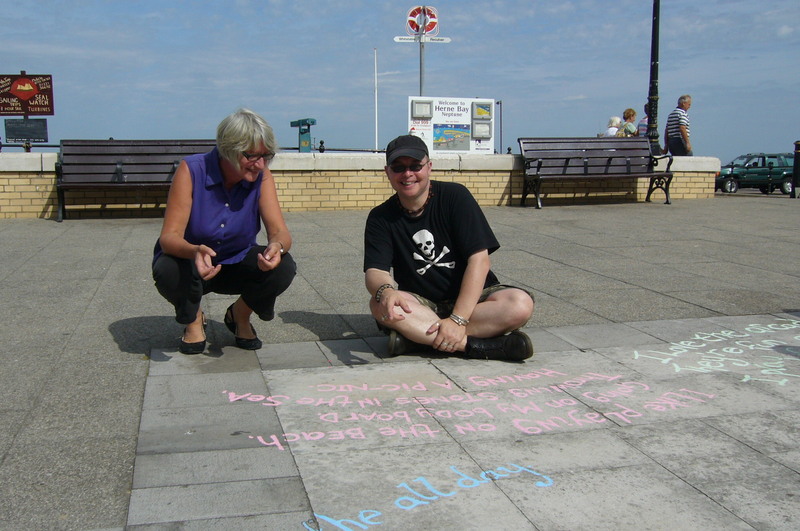 Together we took poetry to the streets at festivals including re:bourne at Sittingbourne in 2009, the 2009 and 2010 Herne Bay Festivals, Poetry City at the Canterbury Festival 2010, and the Folkestone Triennale in 2011. 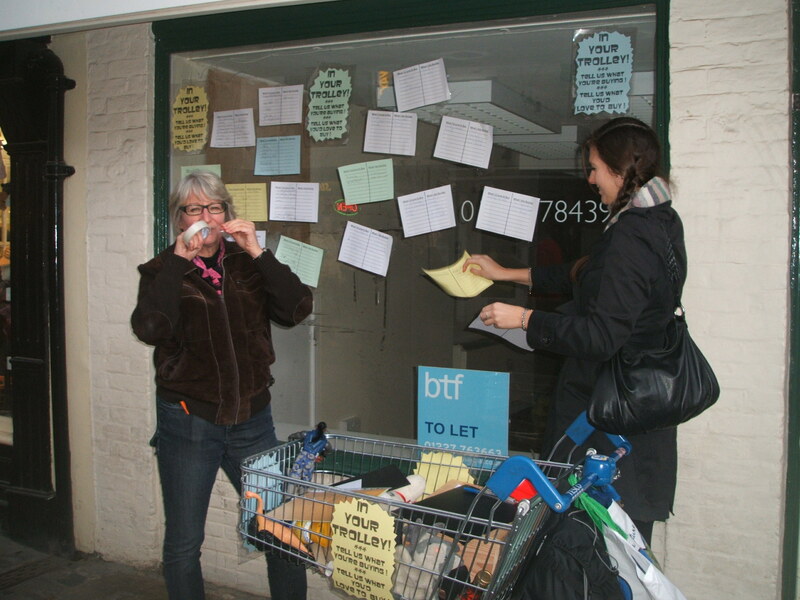 For re:bourne and the Folkestone Triennale we asked passers-by questions to elicit their ideas about the towns they lived in. 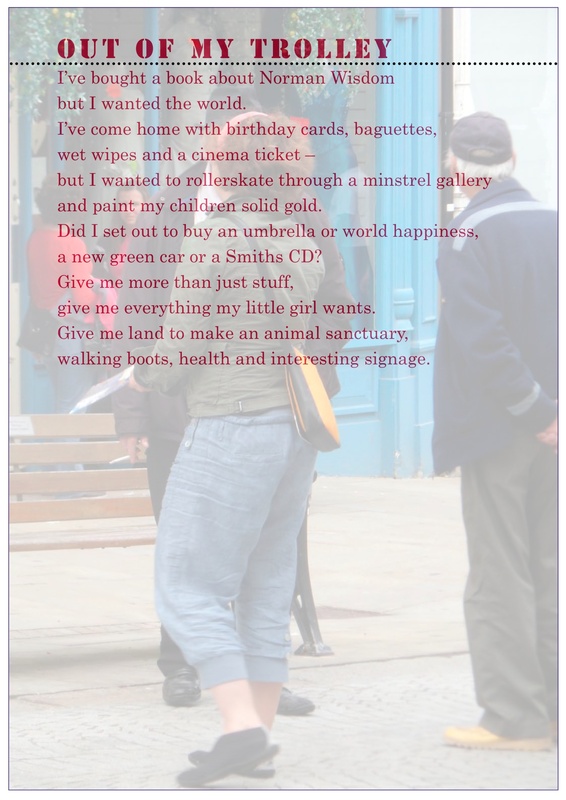 We then chalked their answers on the pavements and used the results to elicit more responses and eventually to make new poems of our own, like the one below. 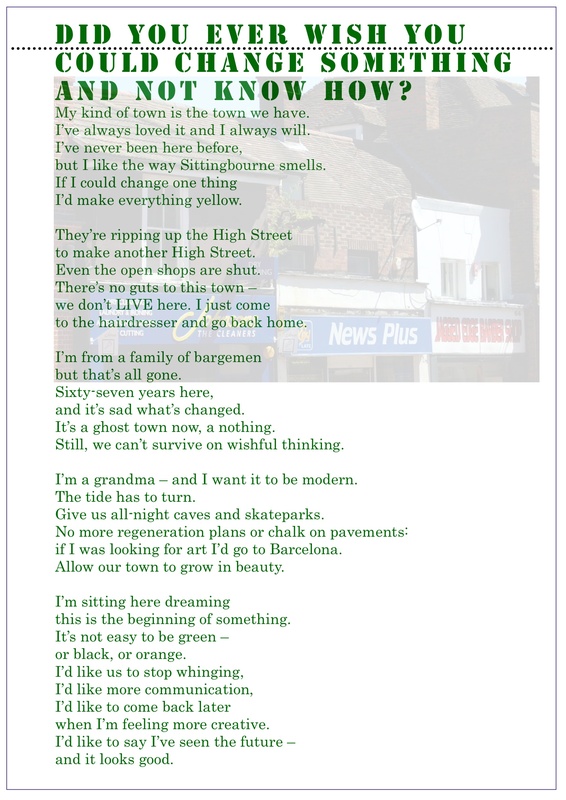 For the 2009 Herne Bay Festival we asked residents and visitors to write poems inspired by the town and surrounding area. For Herne Bay 2010 we asked people to use photographs of the area taken by members of an inter-generational community outreach programme as inspiration for their own poetry and then posted recordings of them reading their poems on YouTube. For Poetry City we took a shopping trolley down Canterbury High Street and asked people what they had bought and what they wished they had bought. Their lists became new poems, as in the one below.